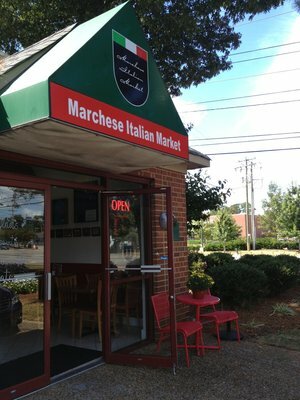 Marchese Italian Market was founded in 2011 in Virginia Beach from an Italian at that time military spouse, Annamaria, with a strong desire to re-create a corner of Italy in town. The owner was born and raised in southern Italy and you can go there and place your order in Italian if you want! 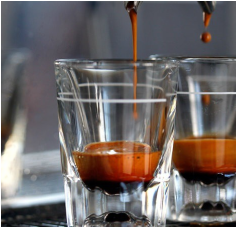 Voted best coffee in town from the Virginia Pilot they serve the authentic espresso, cappuccino's and latte's to give you the flavor of Kimbo Italian coffee! Offering family style seating service or to go, the cafe is a casual point of gathering for the local Italian community and Italian aficionados. The store is located on Pleasure House Rd. Suite 106, between North Hampton and Independence Blvd. Marchese Italian Market is a new concept Italian store. 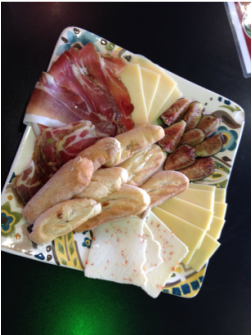 We provide a variety of products from handmade biscotti, pastries like napoleons, tiramisu, berry tart, chocolate cakes to Italian imported olive oil and fresh variety of deli sliced meats like capocollo, mortadella with pistacchio, prosciutto crudo, ham, salami, sopressata and cheeses including mozzarella di bufala and stracchino. ​You can enjoy a great glass of wine from their varieties of whites and reds from all the Italian regions or grab a bottle and cheers "alla Salute!" with your friends and family! DELI imported meet and cheese, Gourmet store offering imported Italian food products with selected high quality ingredients. Some selections include Kinder, Mulino Bianco, Yoga, Riscossa, Campiello, Ferrero Chocolate, Plasmon, pomi, Alta Cucina tomato, Santal Fruit Juices, Kimbo, LAvazza, Crodino and much more! 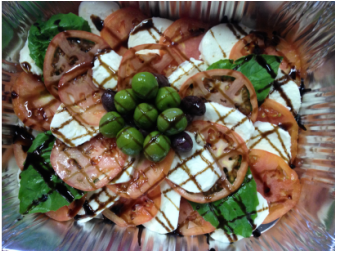 Our Food service cafe also offers italian appetizers, panini, soups, pasta and much more. Accepts major types of payment methods and ships all throughout the U.S. including APO/FPO. Our shipping cost are sent to you separatly based on the quantity, weight and your location. We welcome you to shop around, or check our recipe of the week section where we invite Italian chefs and advent cooks to share their favorite Italian recipes!